Custom table covers for all occasions and purposes - trade shows, conferences, political and promotional events. 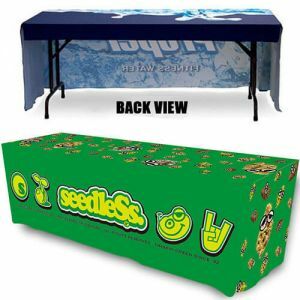 Our custom table covers can be printed in any color you want, making it easy to print your company logo or any other artwork or design. 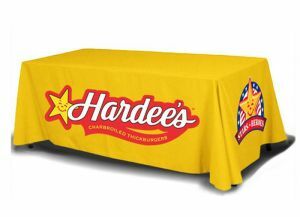 Sizing for our tablecloths are available in 4 feet, 5 feet, 6 feet or 8 feet. 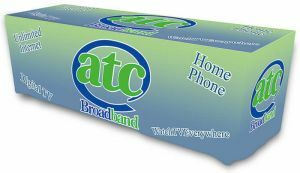 Promotion Choice's trade show table covers are a sure way to grab attention at any tradeshow, event, or campaign of yours. Attract more people to your table and make your event more memorable by using a custom design. 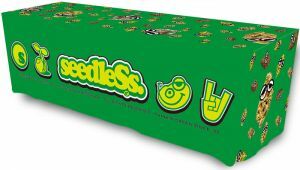 These logo table covers are made of top quality 250GSM 100% knitted polyester, printed with vivid colors that will not fade. We recommend hand washing them, but they can also be machine washed on gentle or delicate cycle. Line them dry but if putting them in a machine dryer is a must, please do so at the lowest possible heat setting. How does the printing work? 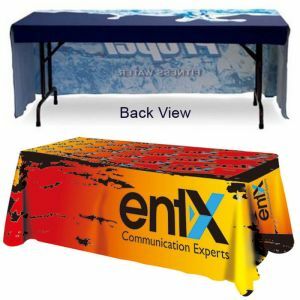 Our trade show table covers are printed via dye sublimation method and have such great quality prints that both you and your customers will surely be impressed! Print table throws with us today and be prepared to be wowed. 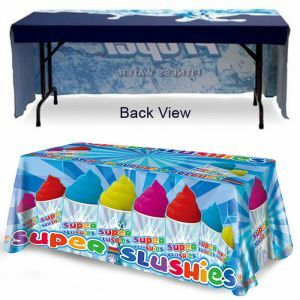 Why buy our trade show table covers? 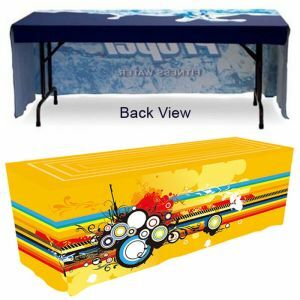 At Promotion Choice, we take pride in doing good work for you and will do everything we can to deliver these quality but cheap tablecloths as fast as possible. We have made impossible extreme rush orders happen for many clients and helped them throw countless successful events. Fast shipping, even under extreme circumstances is something that Promotion Choice prides itsel on. Our expert customer service reps are always ready to help you and walk you through your order from start to finish. With the quality, durability and the pricing offered, Promotion Choice is unrivaled. 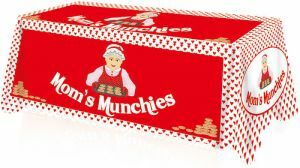 Need other products for a trade show? Don't forget to check out our other items that are popular for trade shows and events like our custom handfans or our printed buttons. Our hand fans come in all different shapes, and our buttons also have many shapes and sizes available for you to choose from. You will not be lacking in choices when you shop with us to plan for your next tradeshow or event.